Since reopening to the public in July 2013, the Copper Box Arena has staged many high-profile events, including BBC Sport Relief and Invictus Games, as well as corporate events for brands including Bauer, Toni & Guy and Fiat. These client case studies show how the Copper Box Arena has been transformed for some amazing events. 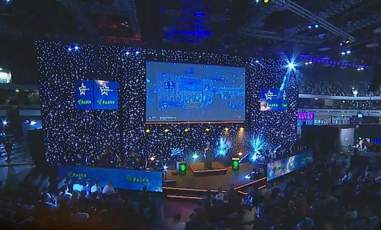 In September 2014, the Invictus Games came to the Copper Box Arena. The brainchild of HRH Prince Harry, the event was a brand new international multi-sport event for wounded, injured and sick servicemen and women. Held across the Queen Elizabeth Olympic Park, more than 13 nations participated across the Games, with more than 400 competitors across nine sports. The Copper Box Arena was chosen to host three sports, over three days. 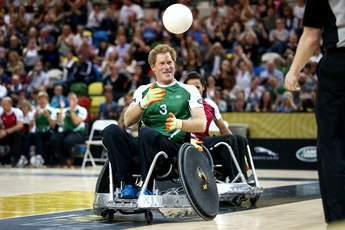 More than 45,000 spectators attended, including HRH Prince Harry. Event Management specialists, Lodestar, were briefed to find a London venue capable of accommodating a product launch for their client, Fiat. Amongst the wide-ranging requirements, spectacular illusionist Dynamo was comissioned to be the primary entertainment for the launch. Lodestar needed a venue that could accomodate 1,000 special selected guests, offer back-of-house solutions for catering and AV, allow a bespoke stage build and venue dressing, and had strong acoustics and lighting. Magical content was used as a promotional vehicle for the launch of Fiat’s latest model, the Fiat 500X, which saw a raft of industry suppliers collaborate to produce a stage performance like no other. Experiential agency, Everybody Engage, thought inside and outside the Copper Box Arena to deliver its first overarching awards ceremony for multi-platform Bauer Media. Bauer Media Awards split the venue into two areas to host a short hall auditorium for 2,000 staff and an after party space, with live entertainment and DJ's. 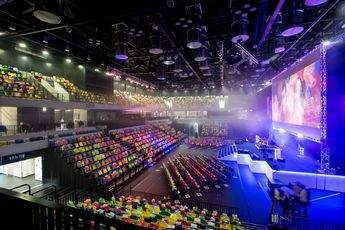 The Copper Box Arena in Queen Elizabeth Olympic Park, Stratford, was transformed from former Olympic sports arena to host the London leg of the world's largest digital festival, DreamHack in September 2015. 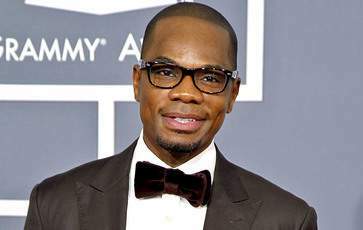 When Grammy-Award winning gospel act Kirk Franklin came to perform in London, the Copper Box Arena in Queen Elizabeth Olympic Park, Stratford, was transformed from former Olympic sports arena to impressive music concert space.